You are browsing the archive for veeam. 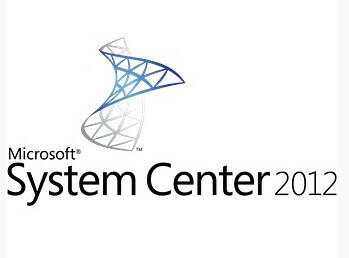 System Center 2012 Unified Installer is a utility designed to perform new, clean installations of System Center 2012 for testing and evaluation purposes only. If you want to upgrade from an existing System Center installation or choose set up options such as high availability or multi-server component installs, please refer instead to the System Center 2012 component installation guides located on the Microsoft Private Cloud Evaluation Resource Page. System Center 2012 App Controller provides a common self-service experience across private and public clouds that can help you empower application owners to easily build, configure, deploy, and manage new services. System Center 2012 Configuration Manager provides comprehensive configuration management for the Microsoft platform that can help you empower users with the devices and applications they need to be productive while maintaining corporate compliance and control. System Center 2012 Data Protection Manager provides unified data protection for Windows servers and clients that can help you deliver scalable, manageable, and cost-effective protection and restore scenarios from disk, tape, and off premise. System Center 2012 Endpoint Protection, built on System Center Configuration Manager, provides industry-leading threat detection of malware and exploits as part of a unified infrastructure for managing client security and compliance that can help you simplify and improve endpoint protection. System Center 2012 Operations Manager provides deep application diagnostics and infrastructure monitoring that can help you ensure the predictable performance and availability of vital applications and offers a comprehensive view of your datacenter, private cloud, and public clouds. System Center 2012 Orchestrator provides orchestration, integration, and automation of IT processes through the creation of runbooks that can help you to define and standardize best practices and improve operational efficiency. System Center 2012 Service Manager provides flexible self-service experiences and standardized datacenter processes that can help you integrate people, workflows, and knowledge across enterprise infrastructure and applications. System Center 2012 Virtual Machine Manager provides virtual machine management and services deployment with support for multi-hypervisor environments that can help you deliver a flexible and cost effective private cloud environment. Extend System Center to VMware – Don’t miss Veeam Free Webinars in May! Protect your investments in Microsoft System Center and manage your physical and virtual environment from one console with the Veeam nworks Management Pack™ for VMware. The nworks Management Pack provides scalable, fault-tolerant and agentless VMware infrastructure monitoring and management directly in Microsoft System Center, eliminating the need for a separate monitoring framework. Discover the results of our valued customer feedback and what version 5.6 of nworks Management Pack includes. Learn how you can protect your investments in Microsoft System Center and manage your physical and virtual environment from one console.